Councillors will set the new budget at County Hall during what is traditionally a marathon meeting. Lancashire County Council is today set to debate and decide upon proposals to reduce its budget by £77m. The authority is also planning to increase its share of council tax by almost four per cent from April - adding £52 to the annual bill of a Band D property. The largest reductions will come from the adult and children’s services departments, which will see around £25m shaved from their budgets. Some of those savings are operational or designed to reduce demand and so not all of them will be felt on the frontline by residents who rely on the services. However, proposals including the end to a short break service for children with special educational needs and disabilities have already sparked the threat of protest at County Hall this morning. Equally likely to make a direct impact is the £4m being removed public health schemes, which will make it more difficult to access healthy living programmes. The authority is also “investing to save” in some areas by redesigning services and ways of working. Below is an easy-to-read guide to the main items on the agenda later and what the proposed changes mean for services to residents. County Hall will have to consult before it makes any of the following changes. Here are the details of what is proposed, any risks acknowledged by the council and how it says they can be mitigated. Savings to be made or money generated is shown in brackets. Reduced access to drug and alcohol rehabilitation and tobacco and healthy weight services. Risk of increased burden on NHS, social care and criminal justice system. Plans to support community-based substance misuse programmes, utilise the voluntary and faith sectors and encourage the prescribing of social activities. Invest £0.5m to achieve overall saving. Scrapping of service which provides support for 11,000 people with low-level lifestyle, emotional and health issues. Risk of increased demand on health services and social care. Proposed use of voluntary, faith and community sectors to plug the gap. Ending service which provides breaks of at least two hours for parents of children with special educational needs and disabilities, while they attend group activities. Some children may be formally assessed to see whether they qualify for statutory support, but opportunities for group activity are likely to be reduced even for those who are still entitled to extra help. Reduction in the service provided to “lower level” claimants who have enquiries about their benefits. 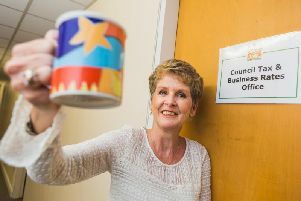 Risk that support will not be available for some vulnerable people “at a time when the council expects the need for that support may grow” - and of likely increased demand on council’s other services. Potential for increased reliance on voluntary and faith sectors to provide help. Removal of school bus services on which no child entitled free transport has used the route for two years. Pupils living in rural areas are likely to be most affected by the change. Parents will receive 12 months’ notice and no service will cease until September 2020. Reduction in opening hours of 9am-5pm at all centres and closure of seven facilities for two days during the week - at Barnoldswick, Burscough, Carnforth, Clitheroe, Haslingden and Skelmersdale. Sale of three county council-owned traveller sites. Cabinet agreed last week that conditions would be attached to any sale to ensure that they remained available for traveller use. Residents who pay to attend day centres will face a 15 percent increase in charges to bring the fees in line with those paid by statutory services which commission places at the facilities. The following proposals do not require public consultation. Transfer adults with learning disabilities, autism or mental health issues out of residential care or shared housing and into individual flats to increase independence. Council says service users will “have a voice” and be kept fully informed during the transition period. Plan to better explore all options short of residential care, including overnight visits and respite opportunities. Assess all care packages delivered by two care workers and aim to replace with a single staff member and appropriate equipment to move the resident. Consider opportunities to “rationalise” the number of family support workers. Risk that fewer families will receive support and that the demands on social workers will increase. Plan to better use “collective capacity across different departments. Reduce the amount of money individuals can hold in their direct payment accounts as a fallback from 10 weeks to four. Excluded pupils will instead be provided with a bus pass. Risk of increase in absenteeism or lateness at Pupil Referral Units and potential for anti-social behaviour on buses. Plan to increase the number of existing bus lanes monitored by cameras. Plan to pay provide private providers the same sleep-in rate as county council staff. This is the biggest single saving proposed in the budget.